Weekend voting: A bill from Rep. Steve Israel and outgoing Sen. Herb Kohl would end the outdated silliness of forcing people to vote on a Tuesday and make Election Day the first full weekend of November. "Two days when most Americans don’t have to work, drop their kids off at school or rush home to prepare dinner." Taxpayer receipts: Bills from Democrats and Republicans in both chambers would require the Treasury Department to send taxpayers a receipt spelling out how the government spent their money. 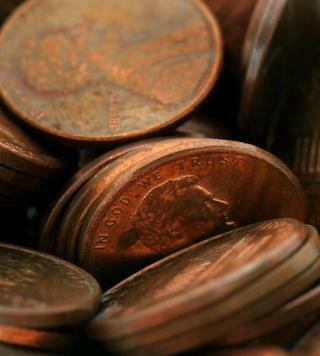 Stop making pennies: It costs 1.7 cents to mint a single penny (let that sink in), and people don't like 'em anyway. For those of you who hadn't noticed, this article was originally Posted May 15, 2011! Convince me that there isn't something from at least 6 months ago that would be more appropriate to post. TRY. What ever would people do without pennies? They say a penny saved is a penny earned. If that store owes you 3 cents and there was no pennies how would they pay you? Pennies do add up and some people save pennies why I have a friend that is trying to save $100.00 worth a pennies. So what would how would we get the pennies that are owed us when we go shopping? Do we just forget about it and let the stores keep it? We are already over charged for everything we purchase so I do not think it would be fair if we let them keep it. If Big Money isn't where an idea is there is no lobbyist to push the elected representive of the people to even think about it....unless you live in Bizzaro World.